On Tuesday, 24 April, the worship service for the commemoration of the 97-anniversary of the Armenian Genocide, took place in the Nor-Marash Armenian Evangelical Church. Mr. Levon Filian, the Executive Director of AMAA, brought the message. Rev. 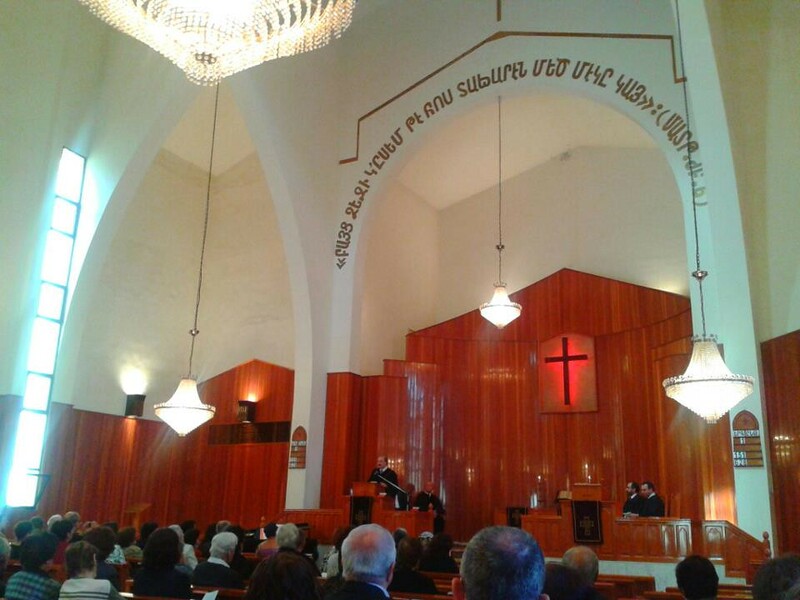 H. Svajian led the worship, Badveli H. Cholakian read from the Bible, Rev. S. Kilaghbian recited the prayer, and Rev. M. Karagoezian gave the benediction. The choir of the Nor-Marash Armenian Evangelical Church sang two hymns, accompanied by Mrs. Y. Kilaghbian, on the piano.